As we continue to delve into the world of youth in this new millennium, it is amazing to see how fast-paced life is, especially with technology. Only 35 years ago, I used to ride my bike 10 miles from my house in San Carlos to an area called Jasper Ridge, where my life as a climber began. Just a few weeks ago, I returned there for the first time since. The area is now closed off to the public and is on Stanford property. Jasper Ridge is a biological preserve. It’s part of Stanford’s program to conserve, study, and appreciate nature in the foothills of the Santa Cruz Mountains. It is tightly protected with restricted access -- for research and education as they say. After I kept needling him to get me in there, Kenji asked a friend of his, Dan Quinn, who volunteers as a docent and is an avid photographer (some of his pictures are here). Dan was psyched to let us in, but also wanted to get the best light as a photographer, that magical time of sunrise. This visit, before dawn on a cold morning a couple of weeks ago, was very special to me, for Jasper Ridge is where my education began. Maybe I can say I was educated at Stanford! We met Dan at the gate to Jasper Ridge at 6:30 sharp, as early as we were allowed. We drove to a parking spot, and hiked through theoak trees east toward the emerging light as we looked for an outcrop of sandstone rock. I felt a mixture of emotions as I experienced the smell and sounds, and the sight of the place. The bay trees smelled exactly as I remembered. The shape of the sandstone boulders, the mosses on the trees and the rocks all looked like they’d been waiting – well, I guess they had been there for thousands of years. This all sparked memories so strong about the preciousness of life, it made me think of connections to the Sacred Rok youth, as I was now experiencing a place that was part of my own youth. I realized how important this place was for my development. Of course with my youthful enthusiasm it was more about bouldering and climbing. The 35-foot crack was a test-piece that two or three of us close friends found as a kind of initiation. And many times, I would be there alone as my imagination would soar, moving up the vertical boulders and hanging on these holds, pulling myself into another world. To come back to this area and put my hands on these holds gives me the profound realization that as I was touching the holds, they were touching me – a kind of connection of belonging that so many of our kids crave. This is what is shaping our gatherings as we bring our kids to Yosemite. It was still first light, we continued finding our way through the boulders to this special spot on top of the ridge. Along the way, we passed by a beautifully-shaped sandstone boulders that had been used by the first Ohlone people for grinding acorn, reminding me of the connection with what I see all over Yosemite. As a youth, we would just walk by, not putting too much thought into it, we were so focused on climbing, but now as we walked by these rocks I realize that it had a lot more to it, a nurturing spirit, and obviously that was why the people would choose to be here. When we got to the boulder near the top of the hill, I noticed the whirling sound coming from the Stanford Linear Accelerator (SLAC). I turned to Kenji and said that sounded just like it did 37 years ago, kind of annoying, but part of the landscape now. Amazingly enough it’s the sound of all the high energy particle experiments that have been going on all these years! Arriving at the top of the ridge to the main boulder where we climbed on, I reached up and touched the first hold, which was instantly familiar, a flood of thoughts and feelings came up through the last 37 years of moving on rocks all over the world, meeting all of these people. It was as though I had come back to shake hands with the wise old man that gave me the energy or understanding about myself. My journey started here. I had an overwhelming sense of gratitude and appreciation, for the wisdom of this rock and this place as I acknowledged the simplicity of practicing in this beautiful environment. It was also a connection to the sincerity of being. 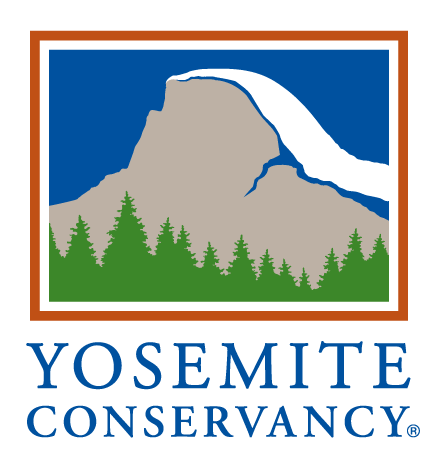 It is these kinds of experiences that we want to bring to the youth to connect in their own way just by being themselves, inspired from such an environment as Yosemite. Kenji asked if this place was how I remembered it, and I said it was as I remember it, even more. He recalled his own experience some years ago when he went back to a “bug tree” that he used to explore when he was a kid in Kamakura, Japan. He remembered the incredibly generous and mysterious tree that was always filled with different beetles and insects, which he’d climb and catch and put into his live cage. Some of his scientific curiosity started there, watching the way bugs moved, finding eggs and trying to hatch them, figuring out what they’d eat. He’d remembered over the years that huge tree with long branches that he’d venture out on to catch bugs. When he went back as an adult, it revived his same sense of wonder and curiosity, the excitement of discovery, but he was also startled at how small the tree was, that somehow the tree had grown in his imagination over the years. But he had the same sense of appreciation for the early memories planted in experience that begins life’s journey. From the boulder, we descended back down to the other side of the formation, where we found the 35-foot beautiful hand crack that was slightly overhanging. Again, there was this curious overwhelming sense of connection and appreciation. The contrast to what I did the night before was quite interesting. I had come to the Bay Area to present at a fundraiser at Planet Granite for the Access Fund to “Save Jailhouse Rock” along with my friend Jimmy Thornburg. It was fun and I appreciated seeing all the people at this modern venue. I marveled at the hundreds of people working on climbs in the gym. It’s really an incredible facility, the amount of effort that went into building it, and the amazing energy of the people it has gathered. People of all ages, and even an 8-year old girl who I’m told has a rare talent. I wonder how different things are between my enthusiasm that started at Jasper Ridge and the enthusiasm of the gym. I’d love to work on the bridge between the indoor and the outdoor world. When I got back home to El Portal, I happened to notice a classic little book that Malcolm Margolin wrote, called “The Ohlone Way”. I’m not even sure where I got the book, but it caught my attention because of the connection to Jasper Ridge. I really appreciated the way that the book talked about respect, equality, support -- words to inspire us as we look for how to create a healthy community, through the simplicity of being with one another, creating good relationships. I realized from Jasper Ridge how this place shaped the course of my life. It made me understand the importance of the environment we are in as youth, and how it nurtures us. It was there that I learned the art of practicing, as a way of development. It started the imagination that took me all around the world, and to this day it fuels my appreciation of visiting the familiar climbs in Yosemite practicing the art of practice. The hold that I appreciate every day began with the appreciation of the hold in Jasper Ridge. Our Sacred Rok youth, like all youth, have an abundance of energy, and it is our job to facilitate this energy in a positive direction. They already know how to respond to the right things, as I did to the holds at Jasper Ridge. Given the chance, like all of us, we can evoke our senses through the simplicity of respect and equality as we look for the harmony and balance between heart and mind.